Previously, we have discussed the process of conserving wood, the sailing of a vessel, the clues uncovered about food consumed, and a potential fragment of footwear. All of these topics hint at the types of organic materials regularly found on QAR. Of these, wood is the most common, but it is not the only organic matter we encounter. We find many other organic artifacts such as animal bones, rope, cloth from sails, animal hair used to waterproof the hull, leather, horn likely from a lantern, antler used for a sword grip, and even the occasional paper! Waterlogged organics can be quite fragile, and they must be handled carefully. Organic artifacts are less likely to survive in a dynamic environment, such as Beaufort Inlet where QAR was found, especially after 300 years. Carbon-based materials, known as organics, are highly susceptible to natural degradation over time, which is expedited when deposited in an inhospitable environment. Additionally, there is high potential for them to be swept off site by the ocean current. For example, a ship the size of Queen Anne’s Revenge would have carried an extensive amount of cloth for sails and rope for rigging. However, conservators are excited when any cloth or rope is found, even though the fragments likely will be very small. A piece of cloth is considered sizable if it is a little larger than a US Quarter coin. When conserving organics, it is most important to protect and preserve the cellular structure to prevent collapse and irreversible damage. To accomplish this, many treatment options are available, including: silicone oil, acetone/rosin, and of course the most common - polyethylene glycol, or simply PEG. Following desalination, artifacts are soaked in one of these types of agents to reinforce the object at the cellular level, prior to being safely dried. Along with the material type, the individual object must be considered when selecting a treatment. Because of the uniqueness of individual artifacts, there is no single correct answer for the treatment of any given material. Professional conservators are armed with an arsenal of different options and must be able to think critically to make the best-informed decision regarding treatment. Cronyn, J.M. The Elements of Archaeological Conservation. London: Routledge. 1990. 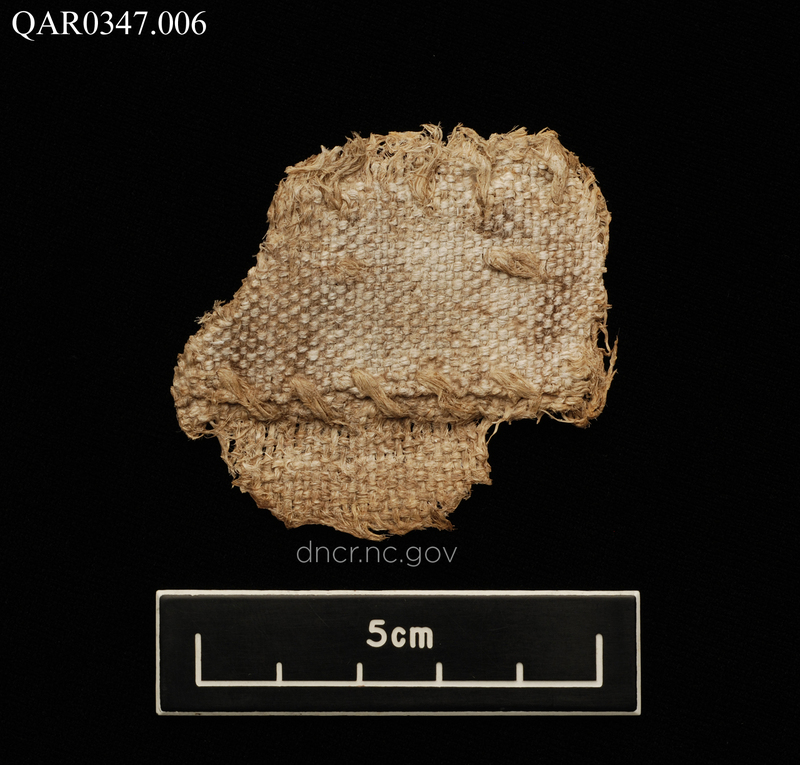 Sailcloth from the QAR site. Image by NC Department of Natural and Cultural Resources. 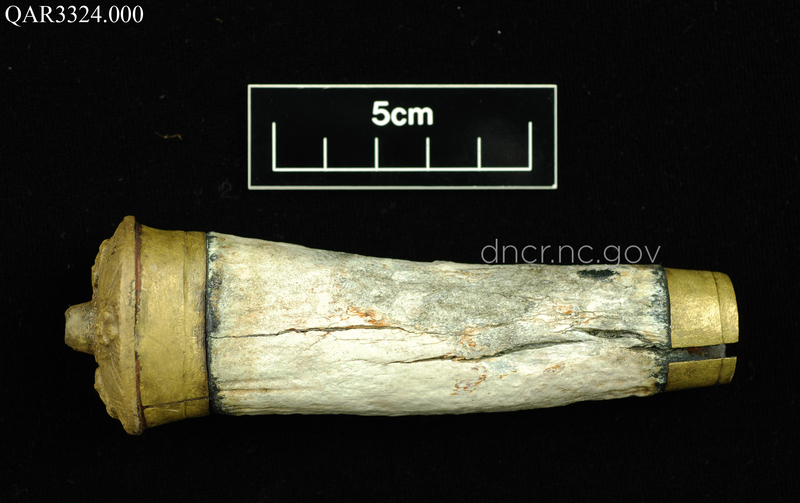 Antler sword grip from the QAR site. Image by NC Department of Natural and Cultural Resources. 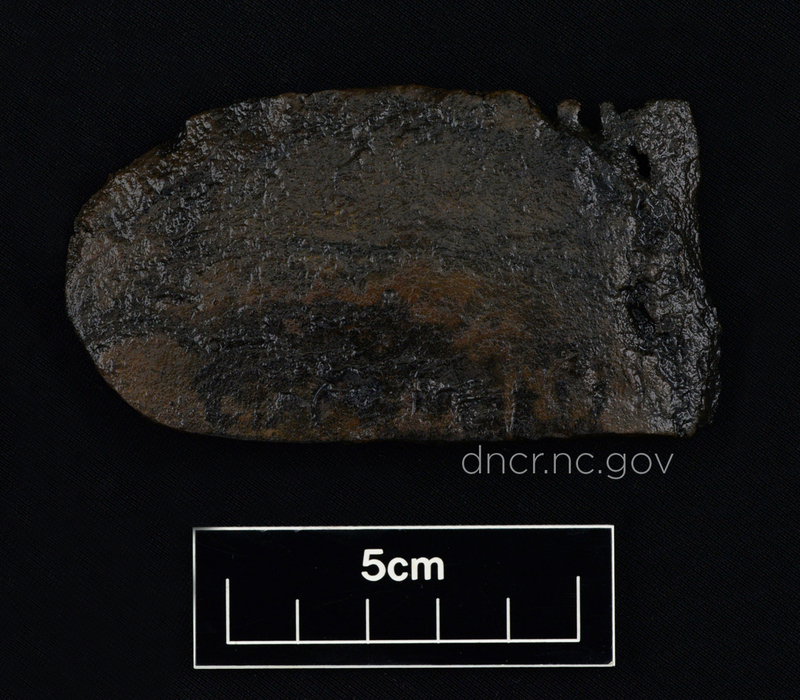 Leather shoe fragment from the QAR site. Image by NC Department of Natural and Cultural Resources.